HMCS Toronto (FFH 333) is a Halifax-class frigate that has served in the Canadian Forces since 1993. 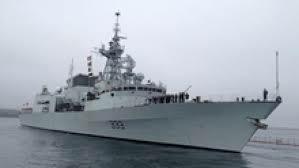 Toronto is the fourth ship in her class which is the name for the Canadian Patrol Frigate Project. She is the second vessel to carry the designation HMCS Toronto.